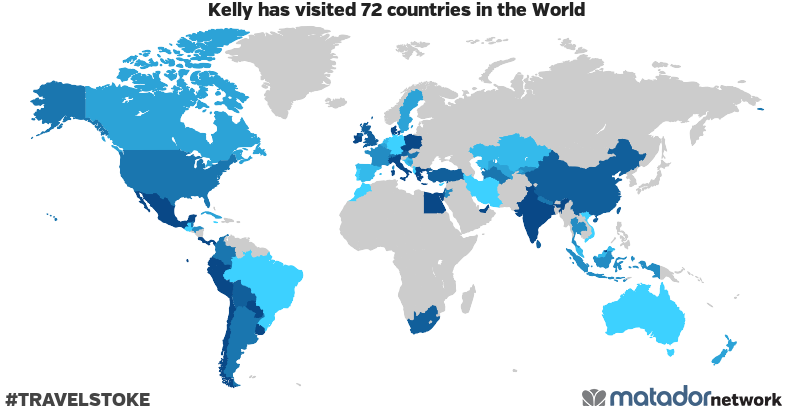 To be honest, I didn’t know whether I should keep a Country Tracker for our trip on the website, but I like maps and my favourite colour is blue. So, here it is – the country tracker for our world cycle tour! Check out our proposed route if you want to see where we are heading next! 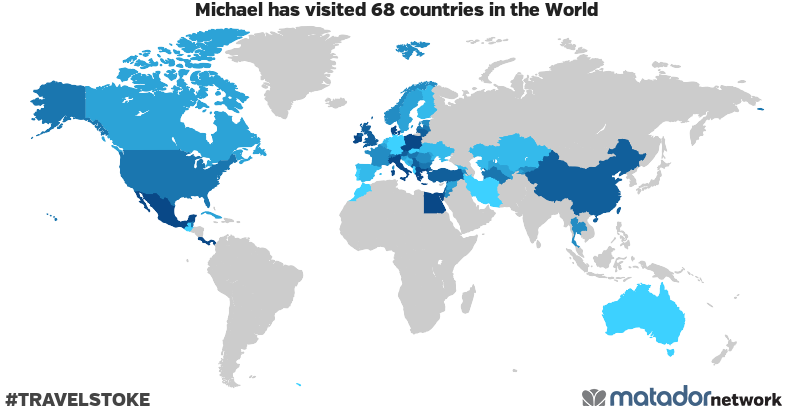 After creating this map, we were curious to work out just how many countries we have each been to, so we’ve also included our individual Country Tracker maps below as well. On the bikes we have been to the following countries as of January 2017. 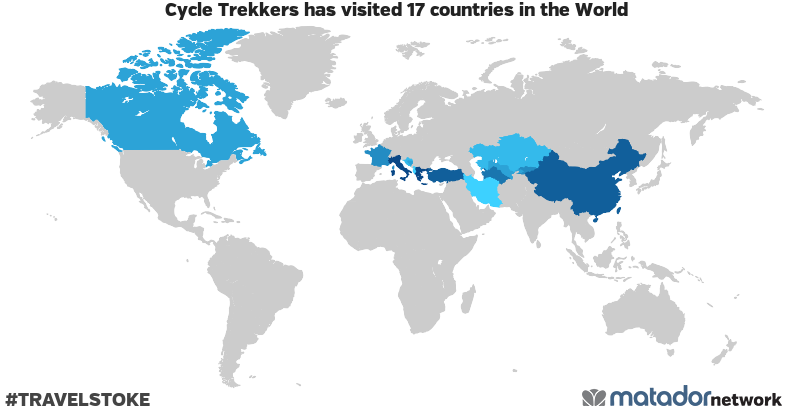 France to China trip: France, Italy, Croatia, Albania, Bosnia and Herzegovina, Montenegro, Macedonia, Greece, Turkey, Iran, Kazakhstan, Kyrgyzstan, Turkmenistan, Uzbekistan and China. Canada: British Columbia, Alberta, Saskatchewan, Manitoba, Ontario, Quebec, New Brunswick, Prince Edward Island and Nova Scotia. New Zealand & Australia (Western Australia, South Australia, Tasmania, New South Wales and Victoria). Canada: British Columbia, Alberta, Saskatchewan, Manitoba, Ontario, Quebec, New Brunswick, Prince Edward Island, Nova Scotia and Newfoundland (10 provinces). 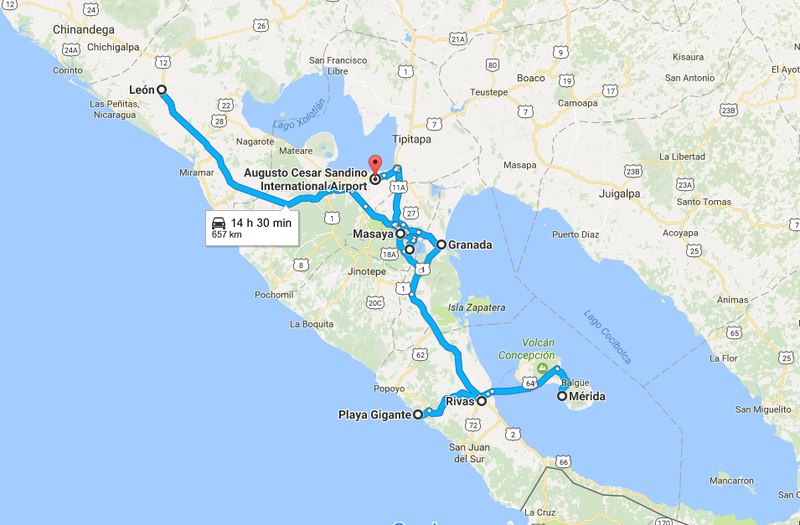 Mexico: Baja California (north & south), Yucatan, Sinaloa, Zacatecas, Guanajuato and DF. Albania, Austria, Bosnia and Herzegovina, Belgium, Croatia, Hungary, Ireland, Switzerland, Cyprus, Czech Republic, Germany, Denmark, Spain, France, United Kingdom (England, Scotland & Wales), Gibraltar, Greece, Italy, Montenegro, Macedonia, Netherlands, Poland, Portugal, Sweden and the Vatican. Argentina, Chile, Colombia, Bolivia, Brazil, Belize, Costa Rica, Cuba, Ecuador (& the Galapagos Islands), Guatemala, Honduras, Jamaica, Panama, Peru and Uruguay. Vietnam, Singapore, Thailand, China, Brunei, Hong Kong, Indonesia, India, Kyrgyzstan, Kazakhstan, Sri Lanka, Malaysia, Nepal, Turkmenistan, Taiwan and Uzbekistan. South Africa, Egypt and Morocco. United Arab Emirates, Turkey, Israel, Iran, Jordan and Palestine. Australia (Western Australia and Victoria). Canada: British Columbia, Alberta, Saskatchewan, Manitoba, Ontario, Quebec, New Brunswick, Prince Edward Island and Nova Scotia (9 provinces). United Kingdom (England, Scotland, Northern Ireland & Wales), Albania, Austria,Bosnia and Herzegovina, Belgium, Bulgaria, Switzerland, Czech Republic, Germany, Denmark, Estonia, Spain, Finland, France, Greece, Croatia, Hungary, Ireland, Italy, Liechtenstein, Lithuania, Latvia, Monaco, Moldova, Montenegro, Macedonia, Netherlands, Norway, Poland, Portugal, Romania, Serbia, Sweden, Slovenia, Slovakia, San Marino, Ukraine, Vatican and Kosovo. Belize, Costa Rica, Cuba, Ecuador, Guatemala and Panama. Singapore, Thailand, China, Hong Kong, Kyrgyzstan, Kazakhstan, Turkmenistan, Taiwan and Uzbekistan. Turkey, Israel, Iran, Jordan, Syria, Lebanon, Georgia, Armenia and Palestine. For more stats click here. I’ve copied the ‘Canada Cycle Route‘ notes idea and layout from one of our warmshowers host, Peggy. She created a similar page outlining her 2015 trip, which I found really helpful. I thought it was a great idea. So, I thought I’d share our route information to help others plan their trips across Canada. Hopefully this will also provide some security to anyone that is a bit apprehensive about cycle touring. I’ve also just finished an ebook called, “Cycling Canada” Coast-to-Coast: Trip Notes” which has route and province notes, maps (please notes these are not GPS or interactive maps), resources, recommended bike stores across Canada, plus any other tips or information I’ve picked up along the way that I think others might find helpful. The book is written based on our cycle trip, so with fully loaded cycle tourists in mind. If you do download the book, please let me know if you have any feedback or issues with it. Publishing ebooks is something completely new to me. It took me a long time to put together, but it is the first edition, so any honest feedback is greatly appreciated. Currently the book is only available on Amazon and can be found here . I am working on a second edition, so any feedback is definitely appreciated. Thanks! 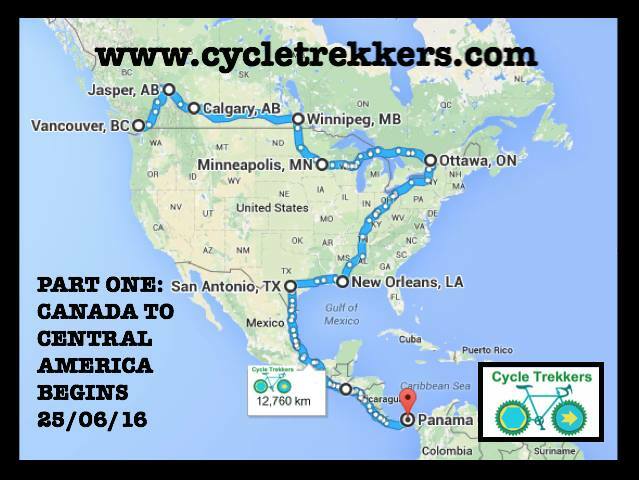 Feel free to get in contact if you have any other questions about cycle touring or cycling across Canada. Check out our Vancouver City Guide! High bike theft in Vancouver. Keep an eye on your bikes. Hwy 99 south Busy. Good, wide hard shoulder. -- There are plenty of cycle paths in Vancouver. You can easily hop on a cycle path to get near the outskirts of the city or onto the 99. Cut across to hwy 15 and onto 4 ave, which leads to 0 ave (I would instead recommend getting on 8 ave from hwy 15, and cutting down to 0 ave around 200 st or staying on 8 ave the rest of the way). Once on 0 ave, less traffic, small hard shoulder. A few hills from hwy 15 to 200 st. -- If you stop on 0 ave, you may have the border police check up on you. They tend to be pretty friendly though. There are a lot of cyclists on that road. Vedder Rd to Prarie Central Rd onto hwy 1 at Annis Rd Quiet road with hard shoulder -- Be-careful with your bikes in Chilliwack. High bike theft in the area. Kettle Valley Rd/Trail (from Hope town to Othello Tunnels) Lot’s of people walking the trail. Gravel through the tunnels (sign telling you to walk the bikes through, but only at the entrance to the tunnels, on the ar park sign). Muddy if there’s been rain. -- They filmed Rambo at the Othello Tunnels. Hwy 5 (Coquilhalla Summit 1225m) Busy road. Lot’s of trucks and RVs. Wide hard shoulder and good road. Steep 5km climb. Lot’s of chain up areas and a services area at the top of the summit. Lot’s of pull off points on the hwy with possible wildcamping Can cycle around the outside of the Great Bear Snow Shed, instead of through it. Coldwater Rd to Merrit Quiet road. Hard shoulder. Good road. -- Free wifi at Walmart. Hwy 5 to Clearwater Busy. Good road. Hard shoulder. From Clearwater it’s a very gradual incline to Jasper (we barely noticed it). Busy. Good road. Hard shoulder. Not too many wildcamping spots on the way to Blue River - due to the marshes. Also, lots of bears around Blue River and that general area. There is a campsite in Blue River (apparently overpriced). We were invited to camp in someone’s garden in the town. Not too many places to fill up water along this route. The guy at the garage in Avola is a grumpy man and he won’t let you fill up your water bottles, even if you buy something. Apparently the people at the burger place (Log Inn & Pub) in Avola, just around the corner from the gas station (down the hill) are super friendly, and will probably help you out. Hwy 5 to Tete Jaune Cache Busy. Good road. Hard shoulder. Not much between Blue River and Valemount. Valemount is a cool town with lots of services (including a brewery & Swiss bakery). Free wifi at the A&W/ gas station in Valemount. Hwy 16 to Alberta (and Jasper National Park) As you would expect – super busy! Hard shoulder, though it’s very narrow at times (usually during the uphill sections where there are steep drop-offs). There are a few steep inclines on the way to Jasper – the first starts just passed Mt Robson visitor centre. We stayed at the official campsite in Mt Robson ($28 per night), but I think you could get away with wild camping in the BC park (not once you enter Jasper, though). Free wifi at the visitor centre in Mt Robson Provincial Park. Staff were really helpful. Hwy 16 to Jasper Super busy. Hard shoulder – bit narrow at times. Good road. We stayed in official campsites only – don’t think you could get away with wildcamping in the park. Whistlers Campsite ($28 per night) – there are walk-in sites available. It’s about 3km outside Jasper. We paid for the park pass. We were asked for it 3 times (we were in the park for 7 days). We showed it at Whistlers campsite – though they didn’t actually ask it. No other campsite we stayed at asked for the pass. We probably could have gotten away with just 2-3 day passes – that’s if you’re on a budget and don’t want to pay for the year pass. Also, if there are 2+ people in your group, get the family pass, it’s good for up to 6 people. Free wifi at the park’s visitor centre in Jasper (we discovered that most national park visitor centres had free wifi). (You’ll get given a really helpful gradient chart of the entire icefields parkway, when you enter the national park – we found it really good). 93A was really quiet, 93 was really busy. There is a section of the 93 which is in pretty bad condition (coming down Sunwapta pass in the rain was not fun). From Bow Summit the road is amazing – my favourite day cycling! They are due to repave the whole road but I’m not sure when this will be completed. Jonas campsite ($15.70 per night) primitive site, but has water. Walk in sites available. Rampart Creek campsite ($17.60 per night) primitive site, but has water. Walk in sites available – I think Waterfowl Lake would be nicer to camp at (the lake was beautiful). It was fully booked when we cycled pass and I’m not sure if they have walk-in sites. Lake Louise campsite ($28 per night + booking fee). We booked this in advance as they don’t have walk in sites, and they were fully booked when we turned up. The next closest campsite is over 20km from Lake Louise. Lake Louise is approx. 4km (up a steep hill) from the campsite and Lake Louise Village. There are other official campsites along the parkway – not just those mentioned above. They are all included in the map provided when entering the park. Skip the Icefields Center – tourist trap! Make sure you check out the waterfalls along the way. Also the hike to the toe of the glacier was worth doing. Free wifi at the visitor centre in Lake Louise. Also, free (unlocked) wifi near the bakery/ grocery store area in Lake Louise. The bakery (Laggan's Mountain Bakery & Delicatessen) in Lake Louise Village is highly recommended. Bow Valley Parkway to Banff Busy road. Good condition. Hard shoulder. We loved this cycle day. There are some official campsites along the parkway if you want to spend the night somewhere. There is also a campsite in Banff. Lot’s of pull outs on the route. Free wifi at Banff visitor centre. Banff to Canmore on the Legacy Trail Cycle Path along the highway. -- There are lot’s of cool ‘bike stations’ with pump, bike stand and tools, dotted around Banff & Canmore. Scott’s Hill (1414m) Summit – a piece of cake after the icefields. 1A quieter road, but narrow hard shoulder. Hwy 1, very busy, but wide hard shoulder, good road. I recommend getting off hwy 1 when you get into Calgary – we didn’t and there were loads of road works, narrow hard shoulder and it was super busy. Try and get onto a road in Calgary with one of the many cycle paths. -- Chiniki gas station is one of the only stops along the way – super friendly staff (they let us fill up our thermos). There are a couple of pull outs along the way as well. MEC in Calgary has an awesome bike section (and free wifi). Hwy 9 to Drumheller Quiet to moderate traffic. Good road. Hard shoulder. Not much shade along the way. Camped at the Horseshoe canyon (no official campsite – but there wasn’t any “no camping” signs either). Beiseker was a cute town with a free museum and services (nothing from here to Drumheller). Hwy 10 (the HooDoo trail), which turns into the 570 at Dorothy. Hard shoulder. Busy road until the Hoodoos, then it becomes very quiet. Road is pretty good condition. Hilly after Coulee community centre. The cycle to Dorothy is beautiful – then it’s Prairie land the rest of the way. There is a steep hill just after Dorothy - it felt like it went on and on. There is a rest stop at Dorothy, which you could easily wild camp at – we didn’t find any water here, but I think you could ask someone in the town (there aren’t any shops/ services in Dorothy). There is a café at the museum in East Coulee (before Dorothy). We wild camped at the Community Hall in Coulee – homestead Coulee (not much else there except the hall). We asked the workers camping at the site opposite to fill up our water bottles. Detour at Big Rock (8km return) to visit the trading post. They have free wifi, coffee, free water, food, and are super friendly. There is also a campsite at the lake there (not sure how much they charge). We also camped in an abandoned building – it looked like cyclists had probably camped there before. It was about 15km before the 886 intersection. There is not much between Dorothy, AB and Eatonia, SK – so take enough food, and take sufficient water for at least a day or 2 depending on how many km you’re covering a day (there are a few places to fill up along the way, but not really anywhere to buy food). There was no, “Welcome to Saskatchewan” sign on this road, which I was a bit disappointed about. 342 Really quiet road and no trucks allowed. We rode side by side, and seen a car once ever 15-30 minutes. There are lots of potholes and no hard shoulder. There’s a bit of a steep hill just before White Bear. Hotel in White Bear. Other than that you’ll be camping in farmer’s land if you choose to wild camp in this section. Not much from Eston to Kyle, the White Bear Hotel has good food, free (unlocked) wifi and rents out rooms (it’s closed on Mondays). It’s in White Bear – super friendly community. Hwy 4 to Swift Current Busy (esp after being on the quiet roads). Lot’s of trucks. Hard shoulder – narrow at some points. Lot’s of potholes and broken bits at the side of the road (the road seemed better around Kyle and the Landing and got worse towards Swift Current). A bit of a steep incline coming out of the Landing. Campsite at the landing provincial park (not sure of the fee). There’s also a hotel in Kyle (has wifi and cheap breakfast). The library in Kyle has wifi (when it’s opened). I really enjoyed this section of the trans-canadian hwy 1. Wide hard shoulder. Good road surface. Moderate to busy (lot’s of trucks). Visitor centre/ museum in Herbert offers camping for donation. They have wifi and good priced snacks and coffee, and really friendly staff. Towns/ services approx. every 20km from Swift Current to Moose Jaw, then only at Belle Plains from Moose Jaw to Regina. Best bike store in Regina is Dutch Cycling. Hwy 33 from Regina to Stoughton Busy near Regina, but the road becomes quieter the further you get from the city. Quite a few trucks on the road. Road is very patchy – good in sections, bad in others. Good to narrow hard shoulder. Fillmore (first night free camping – primitive site). Creelman campsite $15 – washrooms and showers available. Stoughton also had hotels, motels and a campsite. This is where we discovered most town halls have a public library that offers free wifi (as well as toilets and water). Registration for most town (municipal) campsites is at the town hall. Hwy 13 to the Manitoba border Wide hard shoulder. Moderate traffic. The road is in good condition until Redvers then the road quality changes to pretty bad (lots of potholes and a narrow hard shoulder), but we hardly seen any traffic on this section of road. Redvers campsite $10 – register at visitor centre. Visitor Centre has free wifi and a cyclist logbook. Arcola also had a campsite (not sure of the price). Hwy 2 to Deleau Hard shoulder is gravel (this is normal for Manitoba). Quiet road. Free wild camping in Deleau (toilets, picnic tables and water available). Don’t expect a hard shoulder on a road in Manitoba unless it’s highway 1 – it’s a “Manitoba thing” I’ve been told. There is a small “Welcome to Manitoba” sign on this road. Hwy 21 to Hartney No hard shoulder. Good to average road. Quiet road – even in the town. Campsite in Hartney $10 (avoid if it’s the town’s annual festival – the campsite will turn into a nightclub until 4am and you won’t get any sleep). Wifi at the library in Hartney. Hwy 23 which you can take all the way to Dufrost (via Morris). After Dufrost you can take highway 59 south to the 201 East. Road quality is patchy and changes constantly. Bad road around Ninette (hilly). Good road from Swan Lake to Altamont (there is even a hard shoulder for part of it) – also hilly. Flat from Miami. Quiet road. Can't comment on the road condition after Morris – see note below. Campsite just east of Elgin looked like a nice spot (not sure of the price). You could probably wild camp at the rest/ picnic stop near Dunrea and also just before Miami. There are toilets and picnic tables there. Campsites at Baldur, Swan Lake and Somerset (not sure of price). Campsite at Miami ($10) There seems to be a campsite at every other town. Roland’s Roadhouse in Roland – owner is super friendly and helpful. Good pizza and wifi. ** We took a slightly different route on hwy 23 to visit a friend at his farm, but our route involves 20km on a gravel road, so I don’t recommend it. In case you’re interested, on hwy 23 we turned south near Kane/ Morris onto a gravel road to our friend’s farm. After visiting our friend we continued south until we reached 14, then we headed East to Rosenfeld. At Rosenfeld we headed south on 30 until we reached 201 East. The 14 was busy. No hard shoulder. Ok road. 201 Moderate to quiet traffic to Vita. After Vita the road is really quiet. No hard shoulder the whole way. Road quality is ok – patchy in sections. In Vita you can wild camp at the school (free). There are toilets, but no running water. The owners of Eva’s café in Vita are amazing! Free (unlocked) wifi, free filtered water and cheap food. Highly recommend! At the intersection with hwy 12, towards Piney, there is a community building on the west side of the road. There is a picnic table and well with running spring water. Ignore the sign – the water is drinkable. Hwy 12 (This is apart of “Mom’s Way” – an alternative route to the Trans-Canada from Winnipeg to Thunder Bay). Moderate to quiet road. Good surface for most of it. No hard shoulder. We wild camped in the public park at Middlebro (about 6km from the USA border) – picnic tables and a gross public toilet. South Junction gas station has free wifi and picnic tables. Warroad to Baudette (USA stretch – approx. 60km) There is a small hard shoulder with a rumble strip (you’re forced to cycle on the white line for most of it). The road is moderate to busy. We did not enjoy this section at all! -- Williams has a fresh spring well and picnic tables. There is also unlocked wifi at the diner opposite the park (if you eat at the diner - avoid the chips and cheese dip, complete ripoff). Hwy 11 (Mom’s Way) Rainy River to Fort Frances Rainy River to Fort Frances there is a small hard shoulder. The road is good quality - for the most part. Quiet to moderate traffic. Wild camped at the rest stop at Sleeman (drop toilets, bins and picnic tables). Fort Frances campground (pretty gross washrooms and shower block) $17 per night. Free wifi at Walmart and the visitor center in Fort Frances. Hwy 11 (Mom’s Way) Fort Frances to Shabaqua Junction For most of the road there is a hard shoulder (small to medium). Road quality is generally good – a few potholes/ road works in parts. Traffic is quiet to moderate. Hilly. Overall we enjoyed this section. Wild camped at the Seine River First Nations community (next to the Pow Wow grounds and sports hall). Free wifi at the sports hall – just ask one of the local kids for the password. Wild camped at the rest stop near Suwapta, about 3km before a diner and the small village. Drop toilets and picnic tables, and easy access to the lake for a swim. Wild camped at Sabaqua Junction – ask the ice cream van owners where to camp. There is a long stretch of nothing between the Red Gut gas station and Suwapta diner (approx. 100km). Red Gut gas station has wifi and picnic tables. The staff were more than happy to fill our water bottles (with ice) for us. Shabaqua Junction is not a town, but there is a ice cream/ food van there with super friendly owners that love cyclists. They have a great ice cream selection and chill out area. They can also point you in the direction for somewhere to sleep and fill up your water bottles. Great little spot! Avoid the motel/ gas station about 200m on from the ice cream van - they are not cyclist friendly and won't let you use the wifi (even if you buy something). Hwy 11/ 17 Shabaqua Junction to Thunder Bay (via Kakabeka Falls) Busy! Road quality is good and has a wide hard shoulder. -- Kakabeka Falls is free for cyclists and worth the stop. 103/ Arthur St into Thunder Bay (south) Busy! No hard shoulder for most of the road. Pot holes! Generally, I didn't find Thunder Bay very cycle friendly. -- Cyclists are prohibited on Hwy 11/ 17 from the 103 intersection (including the section where the Terry Fox memorial is). We were really impressed with Fresh Air bike store in Thunder Bay. Tokyo House all you can eat buffet in Thunder Bay is awesome (it's on the south side of the city). Lunch buffet is only about $15. Hwy 11/17 to Nipigon Lot’s of construction work going on (sign states work not to be completed until 2021). Nipigon to Marathon – stunning! Superior Lake Provincial Park – even more stunning (cycling through this park was one of our favourite cycle days)! There were lot’s of road works going on when we cycled. Various different completion dates. Small to medium hard shoulder (sometimes even a wide hard shoulder, sometimes nothing). Quality varies. Busy! Lot’s of trucks. More traffic seems to travel West, than East. Nipigon to Marathon and Wawa to Sault St Marie have quite challenging climbs. Some particularly steep climbs between Nipigon and Rossport (at least 3 climbs). There is also a steep climb coming into Sault. The hard shoulder from White River to Sault St Marie on the east side (the west side didn't look as bad) was terrible! Lot’s of potholes and cracks. At points we had to cycle on the road, and the road is super busy along this stretch. Wild camped at the rest stop just outside Rossport on the lakeshore (with beach). Great spot! Potential wild camping at Aguasabon Fall (2km west of Terrace Bay). We did see someone pitch his or her tent at the visitor centre in Terrace Bay. Wild camping at Marathon information centre (on hwy 11). Marathon centre is about 4km off the highway. Manitouwadge turnoff (intersection 614) has a rest stop with toilet. White Lake Provincial Park has campsites (not sure of the cost). White River – you can camp at the picnic area next to the tourist information (watch out for bears in this area). Tourist information has free (unlocked) wifi and toilets. There is a rest stop about 10km east of White River, which is a potential wild camping spot (toilets and picnic tables – no, ‘no camping’ sign). In Wawa you could try wild camping at the lakeshore – there are no ‘no camping’ signs, and RVs stop there for the night, however the visitor center did advise us that occasionally tenters get moved on (it depends who is patrolling that night). Otherwise, there are wild camping spots by the river (Michipicten River) about 6km south of Wawa. Lake Superior Provincial Park is stunning! Don't skip Old Woman Bay (potential wild campsite) and Katherine's Cove (potential wild camping spot). It is a provincial park and these aren't official campsites so there is a chance you might get moved on, but I think generally it's pretty relaxed. We camped at Sinclair Cove, which was beautiful, but it's a 1.5km detour down a steep road. There is also an official campsite in the park at Agawa Bay, and backcountry campsite available. The closest backcountry campsite we could find to the highway was only 200m, but I wouldn't recommend it unless you have a mountain bike or don't have much gear. The site is at Barrett River (the ranger recommended it to us, but it was too much hassle with the bikes/ bags). 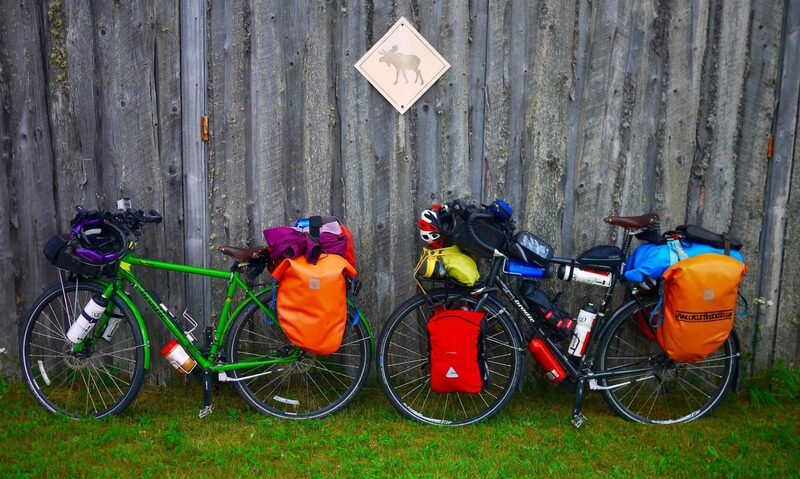 Wild Rose RV park in Batchawana offers free camping for cyclists. The Voyagers nextdoor, apparently has the best apple fritters in Ontario. Velorution Bike Store in Sault St Marie has a free cyclist campsite (closed on Sundays, but the campsite is out the back. You can text the owner for the washroom code). Hungry Moose just west of Schreiber is cyclist friendly. Reasonably priced, big portions, good food, free wifi. Esso garage at Terrace Bay has free (unlocked) wifi. We discovered that the Husky gas station has a loyalty program, which is free to join up and gives you 500 free points (50 points gives you a free shower, 130 points gives you a free coffee). Husky in White River is right next to the tourist information – perfect place for a shower before pitching your tent. They also have free wifi – when it works! Wawa visitor center has very good wifi. No camping allowed at the visitor centre. There are no services/ shops for at least 160km south of Wawa. Canadian Carver - huge tourist trap! Crap wifi! The Voyagers also has crap wifi! John Rowswell Hub Trail: bike trail around Sault St Marie Pay attention to the markers and pick up a map - it's easy to lose the trail. Pretty neat idea, and really well developed around the waterfront. -- Starts next to Velorution bike store (free campsite). Hwy 17B Quiet to moderate traffic. Small hard shoulder. -- The world’s largest loonie is on this road, next to a nice picnic spot. Hwy 17 to just before Sudbury (Whitefish turn off). Super busy, truck road. Small hard shoulder. The highway between Espanola and Sudbury is particularly bad. There is no hard shoulder at times. We ended up cycling on the gravel shoulder, which isn’t particularly safe as it’s really soft, but the road was too busy to cycle on. This was probably the un-safest section of road we’ve cycled on so far in Canada. There are also a lot of cracks and potholes along this section of road. Iron Bridge visitor centre/ museum/ picnic area allows camping. We left a donation for letting us camp there. It’s possible to camp at Spanish near the Marina. There is also free wifi at the marina building, and washroom, shower and laundry facilities. Potential wild camping at the picnic site approx. 20km east of Espanola. There are quite a few official campsites along the highway, all seem to charge about $34+ a night for an unpowered, tent site. This is Amish country, and there are quite a few farmers markets, and fruit and veg stalls along the highway. Most of them seemed to be Amish owned. We also saw some horse and carriages on the road (Thessalon and Iron Bridge seemed to be the most noticeable Amish area). Hwy17 After Sudbury the road quality improves. The road is still really busy, but less cracks/ potholes and a more constant (small) hard shoulder. Rumble strip on the hard shoulder about 20km east of Mattawa, until just before Deep River (apparently, this is something that’s going to become more common in the area). Potential wild camping at the picnic spot approx. 30km east of Sudbury. Wild camping at the picnic/ scenic lookout 20km west of North Bay (we camped behind the toilet block). Potential wild camping spot at the picnic spot 15km east of Mattawa. Wild camping at the picnic spot (next to the lake) 45km east of Mattawa. The New Ontario Brewing Company in North Bay has good beer! Petawawa Blvd to Pembroke (road changes to Pembroke Street in Pembroke). Bicycle lane on the road! Busy to moderate. Paved. -- Loads of Tim Hortons and other fast food places along this stretch. Very built up. Beachburg Road to Foresters Fall Road Moderate to quiet country road. No hard shoulder. Paved. If you want to detour to the White Water Brewing Company (only 6km off Beachburg Rd), they offer camping for $10 per person. Beachburg is a super cute town. Great community vibe. Kinburn Side Road to Kinburn. Turn onto Loggers Way, which changes to Donald B Munro Drive. Follow this road to the town, Carp. Quiet road. No hard shoulder. Paved. -- Carp has a picnic area and also a really nice café. Turn left onto Dunrobin Road (sign posted to Quebec), then turn right onto Riddell Drive, then turn right onto March Valley Road. Quiet roads. Small or no hard shoulder. Paved. On Carling Ave you can access the cycle path, which will lead you to Parliament Hill in central Ottawa. Cycle Path (approx. 20km to Parliament Hill). Nice cycle. -- This route will avoid all the crazy traffic going into Ottawa. It’s the easiest capital city I’ve ever cycled into. There are two popular routes from Ottawa to Montreal; 1) the Quebec route along the Ottawa River, 2) the Ontario route. We took the Ontario route because it was slightly shorter. -- -- We recommend The Cyclery bike store in Ottawa, though there are a lot of other good bikes stores in the city if they don't have what you're looking for. Ottawa cycle paths to the Prescott-Russell Recreational Trail (ends just after St Eugene at St Eugene Road). 72km cycle path. Compacted gravel. Good to cycle on for 95% of the time. Because it is gravel inspect to go a bit slower then on paved road. We really enjoyed this cycle path. I think it would be possible to wild camp at the picnic sites along the route. The picnic site at St-Eugene looked like a good option. Picnic tables and toilets along the way. We didn’t see any water available along the route. There are also no shops, but it’s easy to detour to one of the towns along the route. Chemin du Haut-de-la-Chute road to Rigaud Moderate traffic. No hard shoulder. Lot’s of cracks and pot holes in the road. Really pretty road next to the river. -- Riguad has a good Metro superstore with free wifi. Chemin de l’Anse (changes to Rue Main, then to Avenue Saint-Charles) follow this to the bridge at Vaudreuil-Dorion. Shared bicycle/ car road (no separate bicycle lane and no hard shoulder for most of this road). There are some pot holes on the road. When cycling through the towns the cycle path improves. -- Really good bakery in Vaudreuil-Dorion (just before the bridge) called “Premiere Moisson.” They also have wifi and really good coffee. Cycle route along the canal (Du Canal de Lachine) to the old port and downtown Montreal. Cycle path. Paved. Quiet. Nice cycle. -- Best poutine in Montreal at La Banquise restaurant (opened 24/7). They also have vegan options. La Route Verte #5 out of Montreal and over the Norte-Dame Bridge. Mixture of cycle paths and cycle lanes on roads. -- Metro supermarket along this route. 138 (which overlaps with Chemin du Roy cycle route and La Route Verte #5 cycle route) to Saint-Augustin-De-Desmaures (just outside Quebec City), once you reach this place make sure you get off the 138 and follow either the Chemin du Roy or La verte route into Quebec City. We ended up just following the 138, as the signage for both the Chemin du Roy and La Route Verte was inconsistent and a bit confusing. There are a few paid campsites available and plenty of motels and B&Bs. Gîte et Café de la Tour Bed & Breakfast in Sainte-Ann-de-la-Perade, offers free overnight camping in their garden, and optional $10 per person breakfast (incl. coffee) and $10 per person for shower/ washroom facilities. Plenty of services along the route (picnic spots, supermarkets, shops, cafes, restaurants, motels, water, public toilets, wifi). A lot of the town’s had free municipal wifi. The Old Port Markets in Quebec City are worth checking out. The wine and cider samples are quite good and very unique (think tomato wine, ice cider and maple rum). - Bridge – 20km longer, busy, hectic We took the ferry. It was great – we definitely recommend this over the bridge. -- Buy your ferry ticket before boarding the ferry. When we were there the ferry ran every 10-20 minutes and takes about 10 minutes to cross. Bike path (La Route Verte #1) to the 132 Cycle path. Flat and quiet. Nice view of the river. -- Picnic spots along the way. 132/ La Route Verte #1 (where we couldn’t cycle on the 132 we followed the Route Verte signs) to Riviere du Loup Wide hard shoulder. Quiet road. Well paved - good road condition. Occasionally the Route Verte was a compacted gravel cycle path, other times it was on the hard shoulder of the 132 or on a quiet road. We loved this cycle along the Saint Lawrence River. Very beautiful, and relatively flat. Wild camped at the viewpoint just east of Saint-Roch-des-Auinaies. A stunning spot – right on the river. Picnic spot at the tourist information in Montmagny is a nice spot. The tourist centre has wifi, toilets and drinking water. The tourist information near La Pocatiere has wifi, drinking water, toilets and good cycle maps, including of La Route Verte #5. La Route Verte #5 cycle route (135km to Edmunston, NB) Compacted gravel cycle path. Quiet. No cars or motorbikes allowed. Plenty of camping opportunities (approx. every 10km). There are also primitive campsites along the route for $10 per person (self registration). Lots of picnic sites located along the route. Some with drinking water, toilets and shelters. Route 144 form Edmunston to Grand Falls (the 144 changes to 108 just before Grad Falls). Small to large hard shoulder. Good paved road. Moderate traffic – busier around Grand Falls. -- Nice look out point with picnic tables at Grand Falls. Crossed the bridge at Perth- Andover and got on the 105 to Woodstock. The NB trail does run besides 105. We got on the trail a couple of times, but the gravel was rocky and soft in sections, so we didn’t stay on for more than 15km at a time. It is definitely flatter on the NB trail. Quiet traffic. Busier around the settlements (particularly near Bristol). Small hard shoulder – sometimes no hard shoulder. Very hilly – if you struggle with constant ups and downs then take the NB trail. -- Hartland has a nice picnic spot near the world’s longest covered bridge. Woodstock seemed a bit sketchy, especially around the Tim Hortons. Crossed Hawskskaw Bridge and onto Otis Drive through Nackawic Quite road. Small hard shoulder. Good paving. -- World’s largest axe is in town. 105 Quiet road (after the 605 turn off). No hard shoulder. Patchy paving – ok in sections, bumping in other sections. Hilly! -- No rest area until York Centennial Park (really nice toilets, picnic tables, water). Mactaquac Road (across the bridge) Moderate to heavy traffic. Good paved road. -- Cool view of the dam on the other side of the bridge. Just after the “welcome to Fredericton sign” the trans Canada bike trail starts (look out for the sign). Bike path. Compacted gravel/ paved closer to the city. Quiet. Nice cycle. -- We followed the bicycle path to the superstore in Fredericton, then out of the city to Oromocto. ** We were going to get on highway 2 at Jemseg, but 105 was closed before the bridge (the bridge itself was not finished), which meant we had to get on highway 2 before the bridge. Once we were on the highway, and at the bridge, there was a “no bicycle sign.” Bicycles are allowed on the highway, but not the bridge. Not wanting to cycle the wrong way down the highway (plus we had no alternative way to get over the Jemseg) we still cycled the bridge – it seemed find, there is still a decent hard shoulder, and it’s two lane traffic, but the bridge is very long. Moderate traffic. Busy around the bridges. Nice smooth, paved road, with a really wide hard shoulder. -- Nice bakery/ grocery store (attached to the gas station) in Jemseg. Road 10 Quiet road (when we were there, but I image in the high season this road is quite busy with tourist traffic). Patchy road, with a few bumps and cracks. Hilly! A couple of seasonal campsites along the route (lot's of places start to close after Sept). Visitor Centre at the junction (it’s seasonal, so was closed when we were there). There is also a gas station on the other-side of the junction turn off. Took McGregor Brook Road, the 121 (Main Street) through Sussex. Busy! Lot’s of local traffic and tourist traffic. No inner city bike paths. No hard shoulder. There is a campsite in town, but it is seasonal, as are the campsites just out of town. Timberland Motel (about 7km outside Sussex on the way to Fundy NP) is cyclist friendly, Famous for it’s murals! Outdoor Elements is a really good bicycle store – the guys there are awesome! Lot’s of supermarkets and other stores just as you enter town. (make sure you follow 114 at the turn off for Fundy – it’s hard to miss). Very hilly! A few 10% gradients. Quite when we were there (the beginning of October), but I image there would be a lot of tourist traffic in summer. No hard shoulder for most of the cycle. Road is patchy and bumping in sections, but as soon as you enter the park the road is smooth, small hard shoulder. There are a few park campsite options. We stayed at Headquarters, because it’s walking distance to Alma town. The campsite is pretty cool, has coin laundry and even wifi ($20.40 per night in the shoulder season). Register at the kiosk or visitor centre. There is also a primitive campsite at Wolfe Lake (there is a nice picnic site there as well, with toilets). Park entrance is $8 a day (or free if you have the discovery pass from the Rockies). Kelly’s bake store is good. We picked up some great “day old” deals. Also, home to the "sticky bun" - try and get one freshy baked. * You can stay on 114 instead, which is flatter. To be honest, I don’t think the views on 914 were worth the detour and hills, but I guess that’s personal opinion. It’s very hilly! Quiet, but I image this would be busy in the peak season. No hard shoulder. Bumpy road. There is a free campground not far after the turn off to the viewpoint. There are also a few official campsites and guesthouses along this road. The scenic viewpoints (including the one with the lighthouse) are about 12km detour off the road. 114 Moderate to busy road (I image in peak season this road would be constantly busy). There is no hard shoulder (occasionally passing through towns a hard shoulder or bike lane might briefly appear). Paved road, mostly ok. There are a few campsites around Hopewell Rocks, and plenty of motels and guesthouses. We stayed at the Hopewell Rocks Motel as it was the closest place to the Hopewell park, which meant we could easily walk down and not have to worry about the bikes. They also have somewhere you can store and lock the bikes. Hopewell Rocks are worth seeing. We spent the night near the rocks, and then walked down after the park closed to see the rocks at low tide (you can enter the park after it’s closed, it’s just you do so at your own risk – and obviously, you don’t have to pay). It was great; hardly any other people there and the rocks were really beautiful around sunset. Definitely recommend! Bike path just before the bridge at Riverview across to Moncton. Cycle paths around town (gravel or paved). Hostel and guesthouses in downtown. We stayed at the C'mon Inn Hostel, which was in a good location downtown and they have secure bicycle storage. Campsites are towards Magnetic Hill (about 8km from downtown) Pump House Brewery does some good beers. Mike’s bike store is the cheaper bike store in town. 133 Moderate traffic. Paved road, patchy with cracks and potholes in sections. Not much of a hard shoulder. Occasional cycle lane though towns. -- Shediac has a nice picnic area at the visitor centre. Free wifi, toilets, a good view of the lake and the world’s largest plastic lobster. 955 Quiet road along the coast. No hard shoulder. Paved, good to begin with, gets bumpy with potholes as approaching the highway junction. -- Only a gas station/ general store along this route. Highway 16 to the Jourimain Island visitor centre (before the bridge). Wide hard shoulder, smooth paved road, moderate traffic. -- Bicycles are prohibited on the Confederation Bridge. There is a shuttle across the bridge, which you catch from the visitor centre ($8.50 per cyclist – but, you only pay if you’re leaving the island). Call the shuttle from a black phone in the visitor centre – then wait until it turns up. We waited 45mins before the shuttled turned up. Shuttle is 24/7, but runs on demand. Visitor centre has wifi, toilets, picnic tables and a lookout. Confederation Bike trail to Emerald Junction (road 232) Bike path. Compacted gravel. Nice cycle. Flat. -- Lots of picnic tables along the way. A few shelters. Mill Road to Highway 2 Paved, until half way along the road then it changes to loose gravel for 1km, then changes back. Quiet road. Hilly. Highway 2 is good, paved, busy, with hard shoulder. Highway 6 to Cawnpore Lane Small/ medium hard shoulder, moderate traffic, good paved road. There are a few campsites along this route, but they are seasonal. P.E.I National Park, Cavedish and Green Gables are along this route. Seasonal route: If travelling this route after Sept, expect a lot of the cafes, shops, campsites, hotels and restaurants to be closed for the season. Gulf Shore Parkway (this is in the P.E.I national park) Paved cycle path. Beautiful. There is a campsite in Rustico which is open later in the season than Cavendish campsite. There are also a few wild campspots (if it's low season). Lot's of view points. 223 Paved. Pretty good road, no pot holes or cracks. Quiet - only local traffic. Hilly. -- Nice views of the valley. Confederation bike trail into Charlottetown Bike path. Compacted gravel. Flat. We found the bike trails in PEI really good and well maintained. -- Lots of picnic spots along the route. The bike route takes you to downtown Charlottetown. You pass the superstore and a few other shops along the way. Highway 1 to wood islands and the ferry terminal Hard shoulder, rough road with lots of pot holes and cracks in spots, moderate traffic. -- Ferry terminal at wood islands has free wifi, toilets and a café. Ferry is $20 per cyclist (you only pay when leaving the island). 106 Hard shoulder, smooth road, quiet (but dependant on whether a ferry has just arrived). Wild camping spot near Pictou on the Jitney Trail near Brown Point (washrooms and bins). Highway 4 to Truro No hard shoulder. Quiet road. Lots of potholes and cracks in the road. Campsite/ picnic site near Salt Springs. Highway 2 (follow willow street out of Truro) to Halifax No hard shoulder or small hard shoulder (for most of the road). Quiet road - busy coming into Halifax, and busy near the major towns. Mostly good, paved road. There are a few picnic sites along the road. * Don't get onto highway 102 at any point - it's a very busy highway with a small hard shoulder. Information on road conditions, prices, campsites, wifi accessibility etc. is valid as of our cycle across Canada trip in the summer of 2016. This is just a rough map of the route we took from France to China. We started in Sty Foy (the French Alps) and cycled all the way to Urumqi, China. 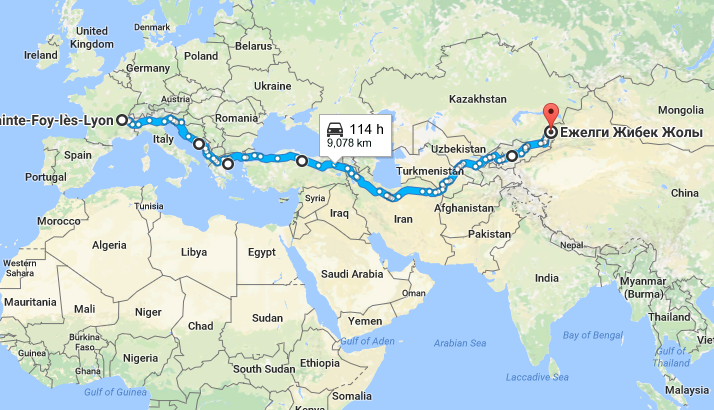 Google maps wouldn’t let me include a route in China, so the map only shows as far as Almaty, Kazakhstan. The total distance was 8,500km and took 8 months. This is a map of the actual route we took across Canada. You can also check out our Canada trip notes for a more detail record of this section of our trip. We hadn’t originally planned on cycling the Maritimes in Canada, but we had a slight change in plan once we got to Ontario. 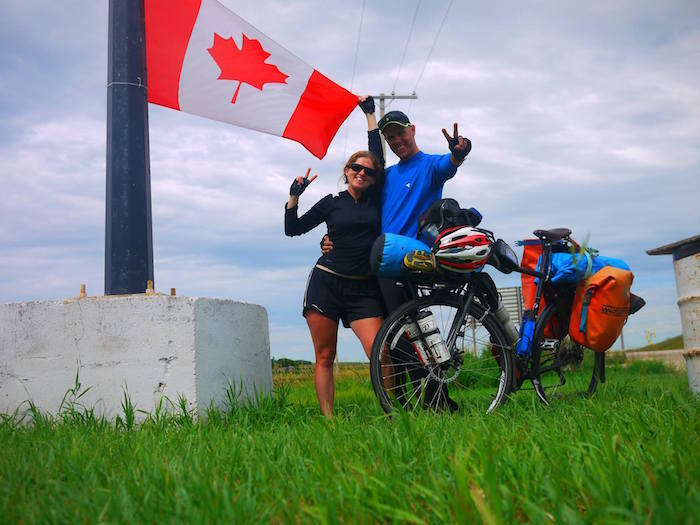 From Halifax in Canada, we headed to the USA border and started cycling across the USA. We cycled 2000km to Buffalo, NY. Unfortunately, Kelly got bronchitis in NY and could no longer cycle, which put a bit of a dent in our plans. Distance: 600km (mainly due to illness, and our constantly changing plans). Originally we planned to cycle all the way to Argentina, but had a slight change in plan, and decided to end the cycle trip. You can read more about why in our article, Discovering you don’t want to be long term cycle touring.